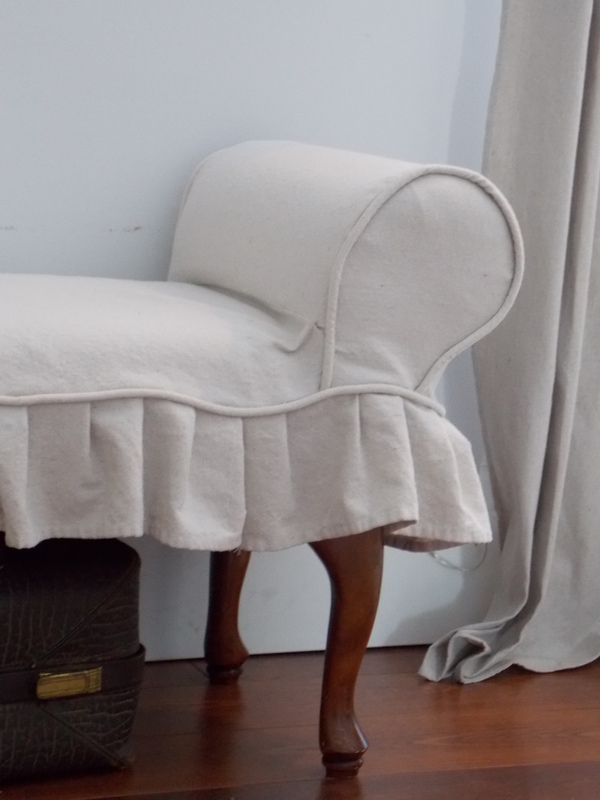 The other day I showed you a chair that I had given a new look by sewing a slip cover for it. (View that post here) Having learned how easy it is to make a slip cover I started to look around the house to see if I had anything else I could experiment on with my new found “talent”… heh, heh! 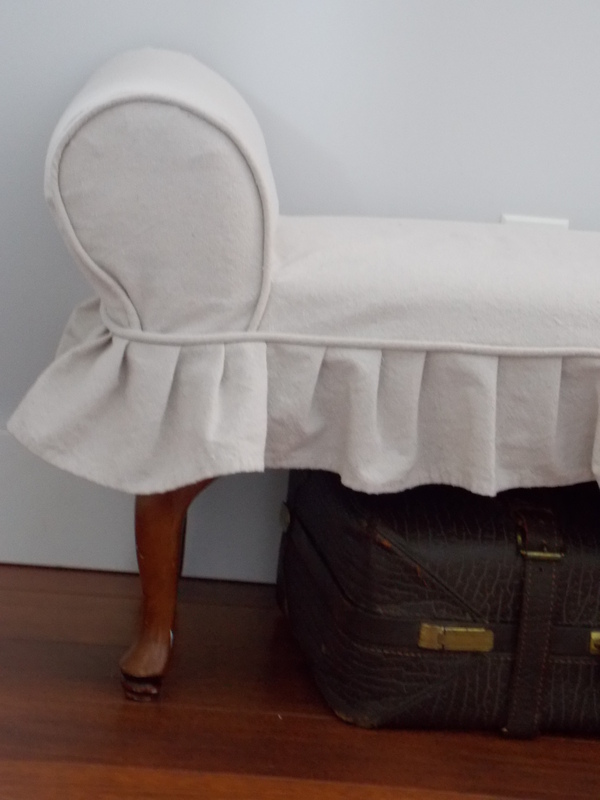 This roll arm bed bench was perfect! 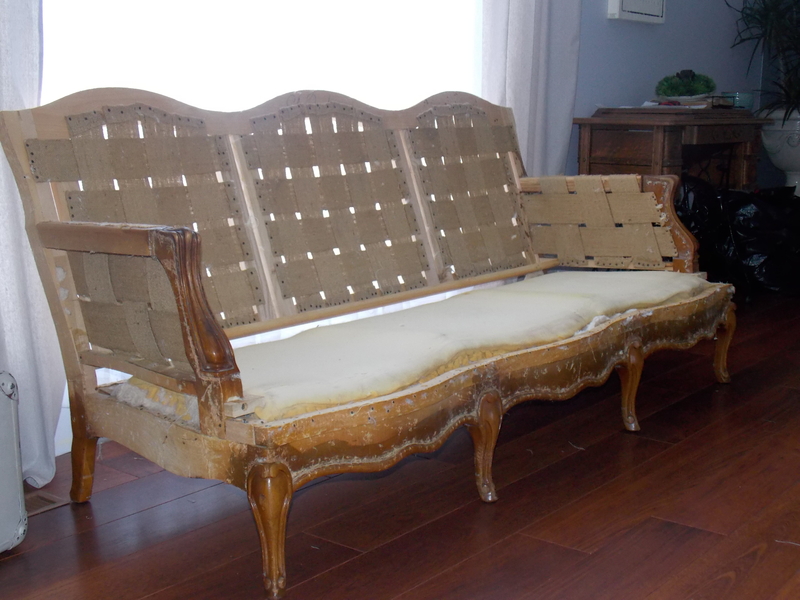 I’ve had this bench for around 12 years now and while the fabric is in pristine condition, it has become outdated. It is a 90’s print in a light beige color… sort of a sage greenish beige ( is that even possible?). Sewing this cover was waaaay easier than the one I made for the chair as I decided to just make it simple. 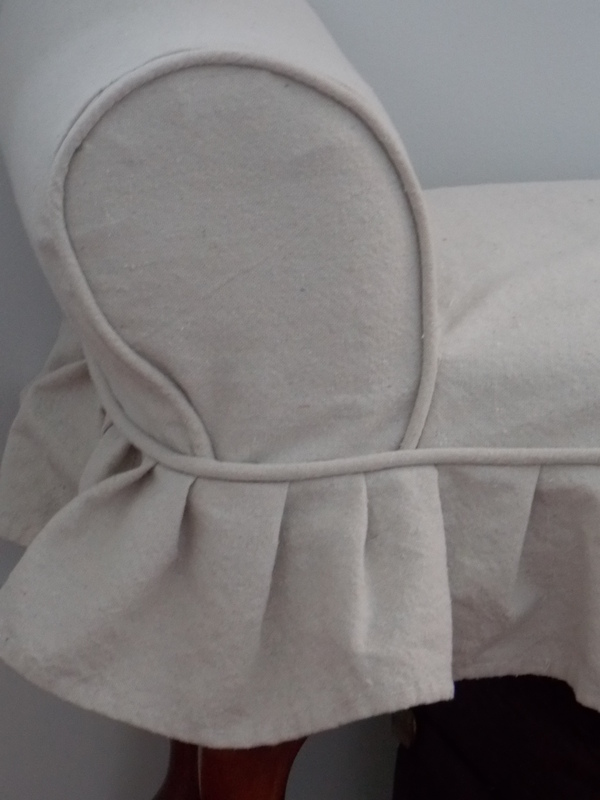 I followed the same process as for the chair and pinned all the fabric and piping together on the bench. Then I trimmed away the excess and sewed it all together. I sewed it in pieces and not all at once making sure to try it on the bench after each piece to be sure it was fitting properly. It turned out so sweet and I wish I would have done this to my bench sooner… why didn’t I learn to do this sooner? … well, I think I’m finally inspired to finish it! Right now it is naked with just my patio furniture cushions on it…poor thing! I’m starting with covering the cushions for it and I’ll share bits and pieces of that process as I go. The weather has decided to warm up here temporarily so my window of opportunity is now to continue with a few paint projects I have on the go as well. I am currently working on a large antique baby cradle… It’s going to be sooooo pretty when it’s finished and I can’t wait to share it with you! Oh Miss “S”! … It is I who is not worthy! You’re my favorite reader…hands down! Thank you for always giving me the boost I need to keep sharing! That bench is the cutest thing ever! 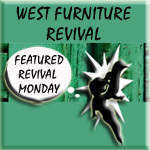 I am finally taking on my first sewing project on a chair from Goodwill. Wish me luck! You go girl! I’d love to see what it is you’re working on! Enjoy! I am in awe with your skills here! I’d love to be able to sew well and upholster but somehow my mother’s abilities were not passed onto me in that area! This is one great looking bench! I’m including it in my features tomorrow at the party….Thanks for sharing it with us Terry! 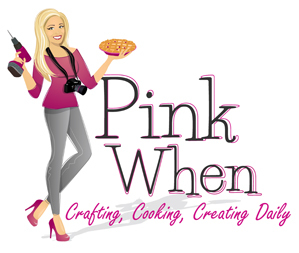 I am so honored Jamie :) Thank you for hosting each week! I truly enjoy your blog! 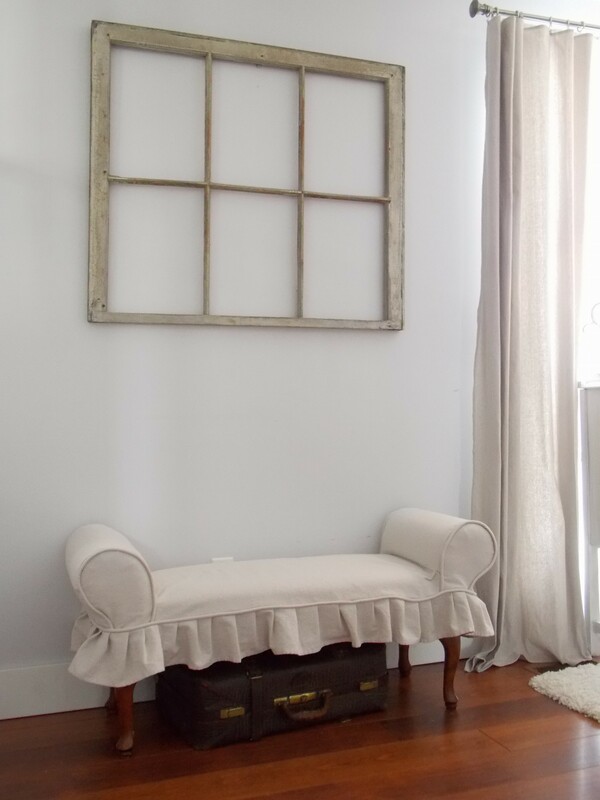 Love the idea of using an old window as wall art. Great rustic touch. 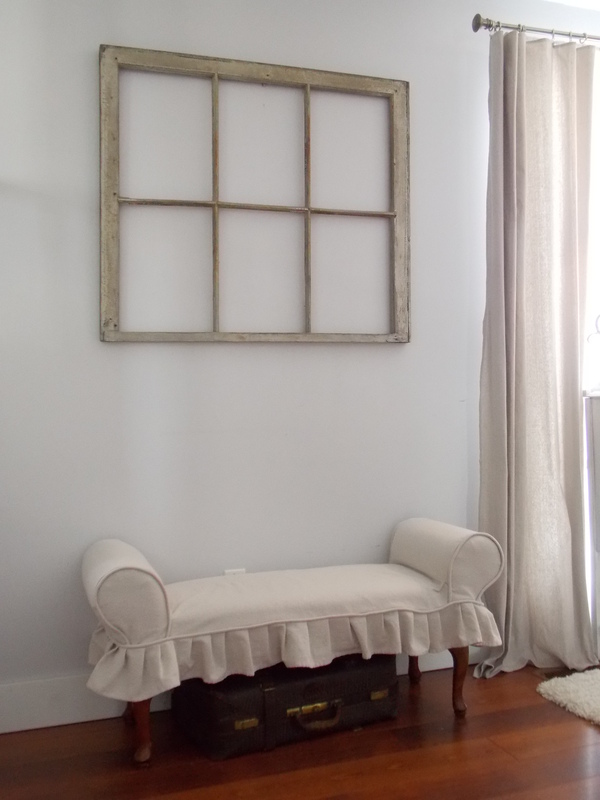 Thank you for the compliment and for taking the time to stop by :) I love the patina found on old window frames!